Glaucoma, a condition that affects the eyes, can be quite serious and even result in blindness. The older you become, the more prone you are to developing glaucoma. Glaucoma patients typically range between 45 and 64 years of age. Glaucoma can strike without warning and without symptoms. 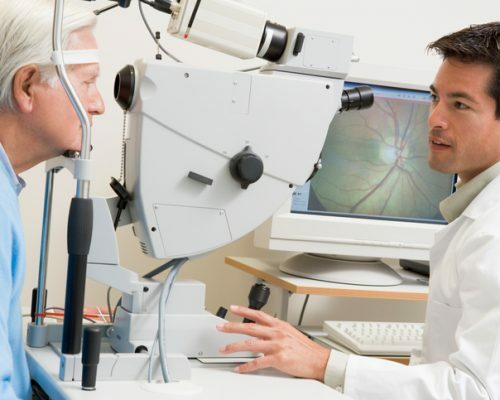 There is no cure for glaucoma, so it’s important to take the necessary steps to prevent it. This can be done through nutrition and diet, which can deter the onset of this eye condition. Here are some home remedies you can try to help improve your glaucoma. Eat a healthy diet – see a list of foods to aid in glaucoma below. Exercise regularly, but safely – certain exercises can increase intraocular pressure. Drink moderate amounts of fluid throughout the day – drinking large amounts of fluid in a short amount of time may increase eye pressure. A new study has found that maintaining the recommended levels of physical activity lowers your risk of developing glaucoma by 40 to 50 percent. Patients with glaucoma have a thinning optic nerve due to abnormal levels of inner-eye pressure. Previous research has shown that physical activity can lessen the intraocular pressure related to glaucoma. “Glaucoma is one of the most common eye disorders and causes of blindness, however, we don’t know much about how to prevent it,” said study coauthor Duck-chul Lee. This is what led his team to examine the relationship between physical activity and glaucoma risk. The researchers examined nearly 10,000 participants in their long-term study. The researchers behind the current study analyzed data from 9,519 men and women between 1987 and 2005 at the Cooper Clinic in Dallas, Texas. The participants recorded their physical activity every week. The researchers measured participants’ cardiovascular health using the treadmill test. At the end of the study, 128 new cases of glaucoma were recorded. The participants who completed 150 minutes of exercise per week or more had a 50 percent lower rate of developing glaucoma when compared to the participants who did not do any physical activity during their week. The results of the cardiovascular fitness treadmill tests were also in line with a lower risk of glaucoma. Those with the best cardiovascular health had a 40 percent lower chance of developing the eye condition. The participants who were both physically active and incredibly fit showed the lowest rate of glaucoma in all the groups in the study. “It is important to promote physical activity to prevent glaucoma, in addition to the benefits in preventing other chronic diseases such as heart attack, diabetes, and cancer,” said Lee. The results of the study showed that even the participants who did not complete the recommended 150 minutes of exercise per week were less likely to develop glaucoma than those who were completely sedentary. “The magnitude of a 40–50 percent reduced risk of developing glaucoma by being active and fit is surprising and may be one of the strongest factors in glaucoma prevention besides aging,” he continued. Other researchers have said that any amount of physical activity is beneficial to maintaining proper health. In fact, the type of exercise you do is less important than how much exercise you work into your day. In addition, patients suffering from glaucoma alongside mental health conditions benefit from physical activity as a form of symptom relief for both conditions. Let’s first look at the different foods to add to your diet for proper nutrition to aid with glaucoma. These foods come packed with many essential vitamins, minerals, and antioxidants to help fight off free radical damage. Sticking with whole foods is the best form of prevention against glaucoma, as whole foods can provide the highest amount of the nutrients your eyes require. These food items can make your body toxic and rob your eyes of the nutrients they require. Although some risk factors for glaucoma can’t be avoided (age, ethnicity, and family history), you can still improve your odds by eating the foods listed above and incorporating them into a glaucoma prevention diet.